One issue was whether the United States should relax so-called export controls on certain products and technology, according to two people who were familiar with the negotiations but were not authorized to speak publicly about them. The controls determine where — and in what quantity — products with military applications or advanced technologies, like semiconductors that power smartphones and computers, can be exported to other countries. Mr. Mnuchin, who has been leading the negotiations, has pushed for a relaxing of the rules in order to forestall the possibility of a trade war and secure China’s purchase of additional goods from the United States in the coming years. Mr. Mnuchin’s plan has faced stiff opposition from Defense Department officials, who fear such sales could compromise American national security, one of the people said. 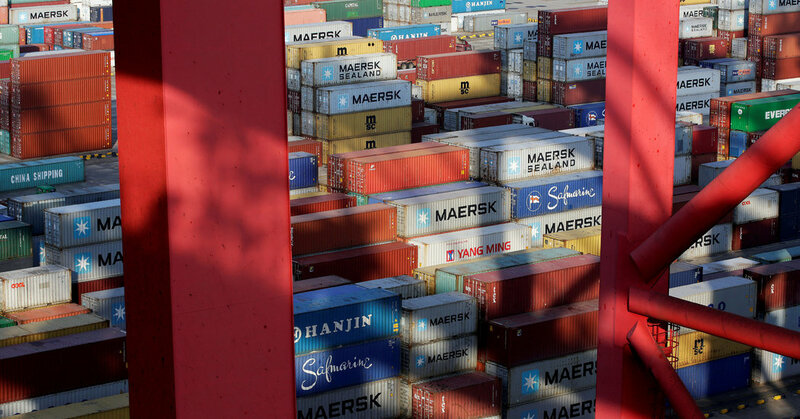 The Trump administration last year began a sweeping investigation into Chinese trade practices that led to the president threatening stiff penalties, including tariffs on $150 billion of Chinese products and restrictions on Chinese investment flowing into the country, among other penalties. The Chinese have been particularly alarmed by recent American actions against ZTE, a Chinese telecom firm that has effectively shuttered its business and put tens of thousands of Chinese jobs at risk. After taking a tough stance on China in recent months, President Trump appeared open to relaxing penalties against ZTE, posting to Twitter last weekend, “Too many jobs in China lost.” In return, the president may hope to gain China’s cooperation with North Korea, as the United States prepares for a meeting with its leader, Kim Jong-un, next month. Within the United States, the administration’s recent efforts to calm trade tensions have caused frustration and anxiety for China skeptics across the political spectrum, who have been pushing to strengthen the export controls that restrict China’s access to sensitive American material, and for the United States to take a tougher stance on firms like ZTE, which Defense Department officials have viewed as a potential national security threat.